Named after Lemuel Punderson who first surveyed the area and became the area's first settler in 1808, Punderson State Park was created in 1951 around the resort area which developed over the years surrounding the beautiful English Tudor Manor House. 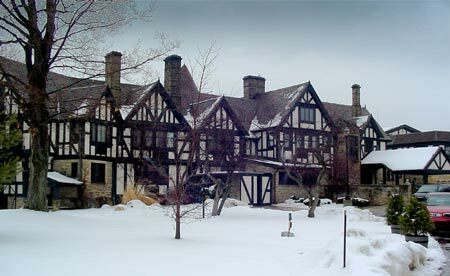 The Manor House which took over 20 years to build, was completed in 1949. In 1979 a complete structural renovation was started to restore the Manor House to its former glory. 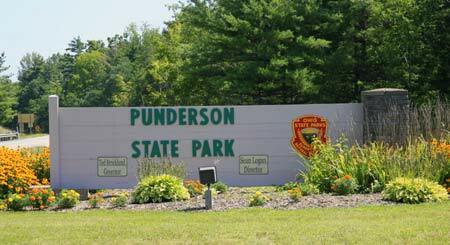 Today, Punderson State Park is one of Ohio's premier state park lodges. The 900 acre Punderson State Park is located just southeast of Cleveland, the park features over 200 campsites, day use area, fishing in the largest and deepest natural lake in the state with 90 acres of surface that is more than 75' deep. The natural spring-fed lake is stocked several times a year with golden trout. The lake also contains largemouth bass, crappies and of course bluegills. NOTE: only electric motor powered boats are allowed on the lake. 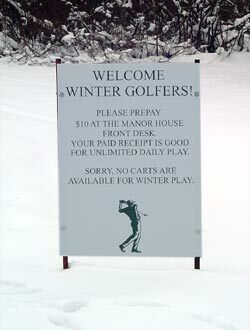 The park also offers 15 miles of trails which are groomed in the winter for cross-country skiers and a golf course. 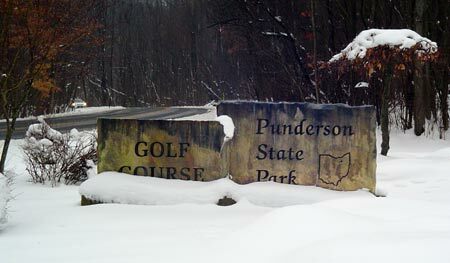 Punderson State Park is located in Ohio's famous snow belt, and therefore Punderson State Park has plenty to offer visitors throughout the winter months. 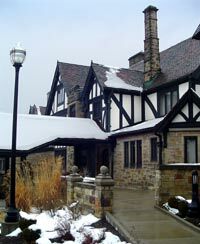 Each winter the park hosts the annual Ohio Championship Cross-Country Ski Race. Skis are available to rent at the Sports Chalet on weekends and holidays. The park also offers a naturalist programs throughout the summer months which feature wildflower hikes and birding excursions. Besides camping facilities, the park also provides overnight accommodations in 26, 2-bedroom cottages that sit above the lake on the south end. The cottages include a living room, full kitchen and bath, tv sets and screened porches. The Old English Manor House has 31 rooms available, which also features an outdoor pool. There are also a few suites available with in-room fireplaces, or wall to ceiling windows that overlook the lake. Both the park and the lake are named after Lemuel Punderson, a land agent who became Newbury Township's first permanent settler in 1802. He and his wife, Sybal, developed a small estate on the edge of the lake and built a small dam on the south side to use the out flowing water to power his grist mill. Known for his hospitality, his home became a popular gathering place for friends and family. Lemuel and Sybal are buried side by side at the southern tip of the lake. When Punderson died, his heirs sold the property to William B. Cleveland. Thanks to Cleveland's foresight, the land was kept in tack and not subdivided. The acreage was eventually passed on to a son-in-law, Dr. Coopedge. The Ohio Department of Natural Resources took possession of the property in 1948.